Each month PAGE will be featuring a country, state, or municipality from around the world and highlighting a particular initiative, policy, or achievement. We hope that these stories will give a taste of the kind of work and commitment that is increasing in all corners of the globe and illustrate how transitioning to a green economy is not only happening now, but having real affects on, with benefits for, people on the ground. If you would like to submit a story for "story of the month". please send it to PAGE via the contacts page on this website. Two new policies integrating inclusive green economy principles have been recently approved in Mongolia and Peru, showing how PAGE support can effectively help countries to drive sustainability at the heart of policy making. Mongolia and Peru, PAGE partner countries since 2013, have undertaken long journeys towards sustainability and demonstrated a strong commitment to advance inclusive and sustainable societies where no one is left behind. 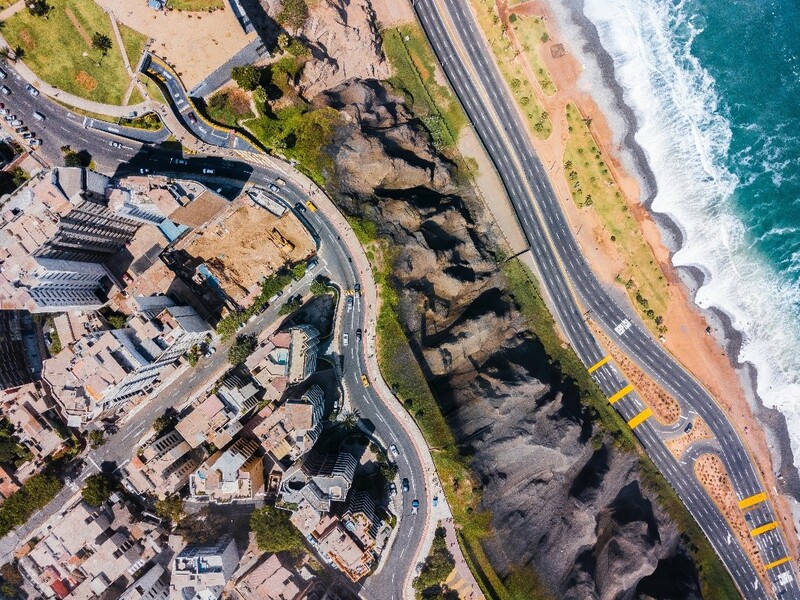 The recently approved “National Competitiveness and Productivity Policy” in Peru aims to increase and strengthen an inclusive and sustainable economic growth. The policy includes nine priorities to boost the competitiveness and productivity of the Peruvian economy by increasing social and economic infrastructures and services, investing on human capital and promoting decent work, improving access to finance, strengthening institutions and advancing sustainability and social inclusion. Among its nine priorities, the policy calls for environmental sustainability and aims to create green jobs and growth through 1) clean technologies and green industries; 2) circular economy and sound waste management and 3) bio-trade. Furthermore, the nine priorities will lay the basis for the elaboration of a National Competitiveness and Productivity Plan that will define concrete actions and implementation measures as well provide a monitoring framework and indicators to move from policy to actions. The approval of the policy represents a success for PAGE work in Peru, where the Partnership’s longstanding support has been focusing on the country’s green growth potential, sectoral policy reform and stakeholder engagement on green industry and green jobs, and capacity building and awareness raising in support of the inclusive green economy transition. The National Competitiveness and Productivity Policy is indeed the result of a participatory process that brought together stakeholders from the public, private sector, academia, trade unions, international community and civil society. By bringing all actors together, the policy generated the consensus needed to define the way forward for an economic growth in the medium and long terms that will focus on social inclusion, poverty reduction and prosperity for all. Another successful example of policy making for sustainability is the adoption of the National Policy in the Construction Sector in Mongolia. This policy represents another step towards sustainability in the country, where appropriate energy efficiency standards and a rating system for green buildings are among the priority areas of Mongolia’s National Green Development Policy (NGDP). During the past years, PAGE has supported Mongolia in advancing its green development agenda with evidence-based policy appraisal of different options for implementation of the NGDP, and support for policy development and reform in specific sectors and thematic areas, such as green construction. Furthermore, PAGE is supporting the formulation of a ‘business case’ for green buildings and is providing capacity development for stakeholders in the construction sector which should further foster up-take of green design elements for public and private buildings. PAGE has also contributed to the establishment of a multi-stakeholder Green Buildings Advisory Council. The approval of the new construction policy is a confirmation of Mongolia’s commitment to a sustainable future and a signal of the country’s willingness to implement important economic reforms to advance inclusive green economy. Friday 25 January 2019, Marine Bay Sands Expo and Convention Centre, Singapore – “Making the Money Flow” the side event to the third session of Asia Pacific Ministerial Forum, jointly organized by PAGE, UN Environment Finance Initiative and the government of Korea, explored best practices of innovative financing to tackle environmental challenges and support sustainable consumption and production. His excellency Cho Myung-rae, Minister of Environment, Republic of Korea, opened the floor with a keynote speech highlighting PAGE’s novel approach in bringing expertise from across UN agencies to support countries with their ambitions for lower carbon, more sustainable and more inclusive economic growth. Underlining Korea’s commitment to PAGE as a founding member since 2013, the Minister noted with satisfaction the growing regional engagement with countries across Asia and more widely across the globe. Since its origins PAGE has functioned as a partnership of equals that work together across disciplines to deliver strong analytics, policy advice and capacity development for more sustainable economies. UN Environment, providing an overview of PAGE, looked at the tremendous opportunities to further align the Partnership with the sustainable development goals in the period beyond 2020. PAGE and other partnerships are indeed essential instruments to unlock finance needed to make the 2030 Agenda a reality. Following the keynote speech and PAGE presentation, the event featured a lively discussion moderated by the CEO of Eco-Business, and included the Monetary Authority of Singapore, the Association of Bankers in Singapore, and other distinguished panelists. Recent innovations in unlocking private finance for sustainable development abound in Asia, which has become a center of gravity for sustainable finance. 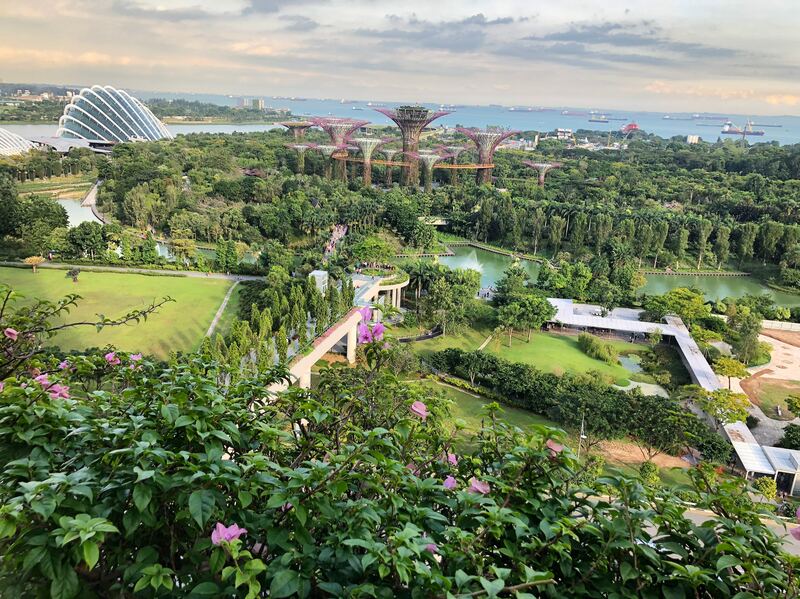 The Monetary Authority of Singapore pointed to new requirements for sustainability reporting and a growing prevalence of green bonds as indicators of this new momentum, underscoring the need for partnerships between public and private sectors to reach full effectiveness. Although the task of financing the sustainable development goals and reducing climate risk can seem daunting, the rate and pace of progress in new financial vehicles for green finance is encouraging. Noted in particular was a growing ability to raise project finance for renewables and green infrastructure, as well as advances in data and technology to better understand and measure the sustainability impacts of investing. Nonetheless, much ground remains to be covered including better definition of regulatory framework for “transition risks” due to uncertainty surrounding national policies, particularly with regard to carbon pricing. Promising steps such as the Network for Greening the Financial System, led by the Central Bank of France, were also noted. Ultimately, progress in making the money flow will depend on a strong alignment between national policy and investment planning frameworks of the type promoted by PAGE, and engagement of the private sector in backing them up with sound investment. A systemic approach to greening finance while desirable and probably inevitable need not delay the strong efforts already underway in Asia and beyond to make finance a driver of sustainability. 10-11 January, South Africa - Cape Town welcomed 500 innovators and leaders from governments, civil society, private sector, development organizations, media and the public for the 3rd Partnership for Action on Green Economy (PAGE) Ministerial Conference, a unique global forum on green economy. Hosted by the Department of Environmental Affairs of South Africa, the conference under the theme Advancing Sustainable and Inclusive Economies, focused on strategies for accelerating the transition to a global green economy. Unlocking green finance, smoothing the way towards a sustainable future through policies and strategies that promote green economies, social and economic inclusion and sustainable consumption and production were topics that where especially emphasized on. Several high-level speakers including Elliot Harris, UN Chief Economist, Joyce Msuya, Acting Executive Director of UN Environment, Kimmo Tiilikaiinan, Minister for Environment of Finland, Guy Ryder, Director-General of ILO, and Kumi Naidoo, Secretary General of Amnesty International underlined the crucial importance of transitioning to a sustainable, green economy to ensure safe social and economic environments for every single individual. The 2019 Ministerial Conference recognized that the current scale and pace of action is not enough to achieve sustainability but that it is possible for us to radically re-organize the way we produce, consume and invest: finance, investment and systems thinking are key to bringing circularity into our economies. We need to focus on economic, social and political inclusion to leave no one behind. Hence it is crucial to invest equally in social dialogue with labour market institutions, expand social protection, provide incentives to the private sector and provide skills and training. Moreover, education, skills, and awareness building are essential ingredients for meaningful inclusion. We need to take more effort to create the future of work we want and draw attention to the fact that climate change will fundamentally alter the world of work, and indeed our efforts to ensure human dignity and livelihoods for all. Realizing this vision will depend on broad-based partnerships, a stronger multilateral system and effective international cooperation. "Inclusion, although it is an abstract concept, is really a multi-dimensional process and not just a stationary event. It involves the social economy, the environmental side and the political side," Margaret Chitiga-Mabugu, Director and Head of the School of Public Management and Administration at the Faculty of Economic and Management Sciences at the University of Pretoria. The conference topped off with PAGE delightfully welcoming the five new partner countries: Argentina, Guatemala, India, Indonesia and Kazakhstan. PAGE is excited to see the partnership constantly growing and looking forward to the next Ministerial Conference which will be hosted by the United Arab Emirates in 2020. 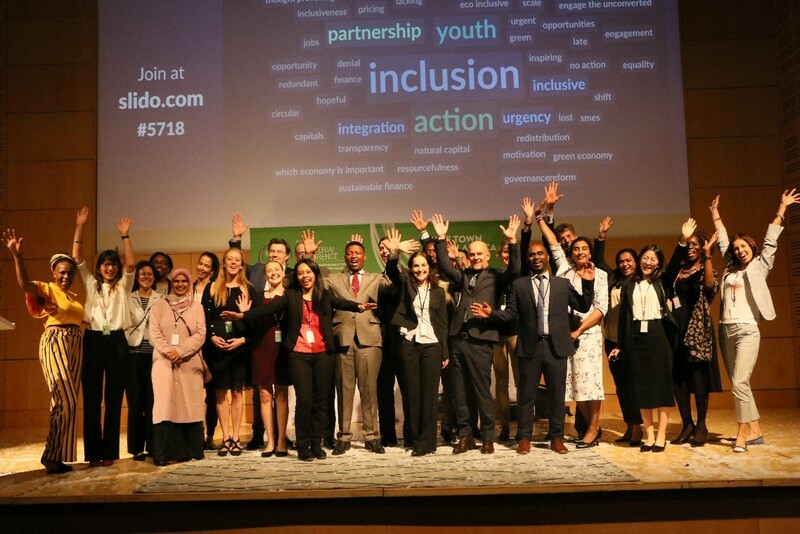 Inclusion, action, youth and partnership: these were the most prominent words chosen by participants when asked to best describe the conference – a fitting description of PAGE’s values and mission going forward beyond 2020. Friday 14 December 2018, Cape Town, South Africa - From 10-11 January 2019, 500 innovators and leaders from governments, civil society, private sector, development organizations, media and the public will meet in Cape Town for the third global forum on green economy. Hosted by the Department of Environmental Affairs of South Africa, the third PAGE Ministerial Conference will highlight and celebrate innovation, entrepreneurship and inclusivity as drivers of green industries and as the bedrock for a better and more sustainable future for all. As an alliance of five UN agencies –UN Environment, ILO, UNDP, UNIDO, UNITAR – the Partnership for Action on Green Economy (PAGE), supports countries in meeting their sustainability commitments, particularly the Sustainable Development Goals related to the economy, jobs, industrial development and the environment. It also works with them to meet their national commitments to tackling climate change under the Paris Agreement through inclusive green economy approaches. The third PAGE Ministerial Conference will focus on how to advance inclusive and sustainable economies for achieving the Sustainable Development Goals and targets of the Paris Agreement on climate change. Over the course of two days, participants will zoom in on how we can develop and implement innovative policy solutions to green the economy, how to green the financial system and make it work for the future, how to find solutions that work for everybody and empower the most vulnerable and how to enable and incentivize consuming and producing sustainably. It’s an ambitious agenda, and one that requires expertise from a diversity of our global community. That’s why PAGE is bringing together a group of similarly ambitious innovators and leaders to guide these discussions. From Chief Economist of the UN, Elliot Harris, to Kimmo Tiilikaiinan, Minister for Environment of Finland, Pierre Venter from the Banking Association of South Africa, and Kumi Naidoo, Secretary General of Amnesty International – PAGE has gathered the most incisive minds from across the spectrum of social, economic and environmental leadership to work together towards real solutions. Only limited spaces are still available – register now to secure your place. For more information on the conference, including a full programme and list of speakers, please visit the PAGE Ministerial Conference 2019 website. 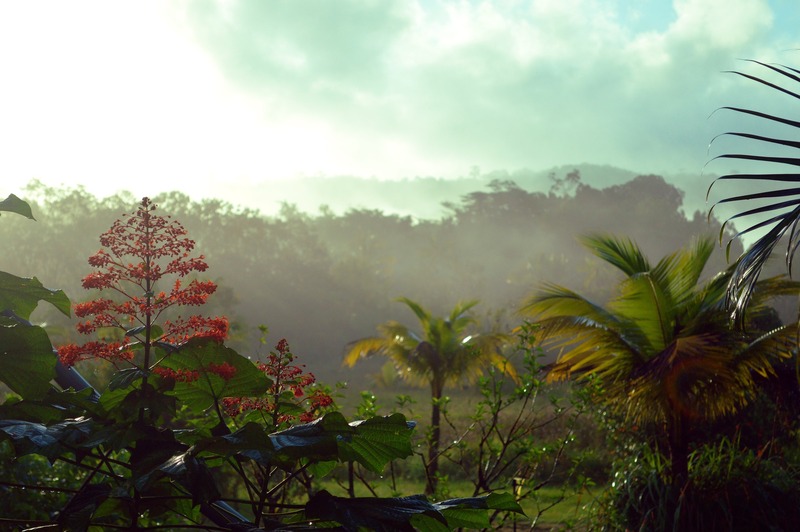 The budget, entitled Transforming the Economy, Empowering People and Building Sustainable Communities for the Good Life, focuses on strengthening institutions across sectors, including reinforcing public investment management; expanding opportunities for businesses to grow and flourish; and supporting the Guyanese government‘s green economy initiatives while aiming to support the development of the non-oil sector. To advance progress towards these ambitions, PAGE has worked with the Department of Environment to develop the Green State Development Strategy, which was presented to the government at the International Small Business Summit last month. In it, a variety of strategic policies, actions and projects aiming to foster low-carbon, climate-resilient sustained economic growth are presented as a strategy for creating decent jobs, rising incomes sustained over generations, equitable access to economic opportunities and social cohesion. By taking on the ambitious Green State Development Strategy, and committing state resources to its implementation, Guyana is doubling down on its ambitions to become a green economy leader in the region. This is a strong signal that Guyana accepts that economic diversification, especially ensuring a flourishing and thriving non-oil sector, is crucial to build up a resilient foundation on which the country can stand on when petroleum resources come to an end. Moreover, resources investing in the human side of development such as in health and education, water and sanitation, decent housing, green energy, transport networks and youth development, is critical for ensuring that this transition is just and inclusive. 29 August 2018, Bishkek, Kyrgyz Republic - With an economy mainly driven by agriculture, extractive industries and hydropower, land degradation and desertification poses serious threats to the health of the economy in the Kyrgyz Republic, as well as its people and environment. The Government of the Kyrgyz Republic is committed to reversing environmental degradation trends and capturing opportunities for economic growth that is both inclusive and sustainable. The need to transition to more sustainable development pathways through advancement of green economy approaches have been recognized as a national priority in various policy frameworks. 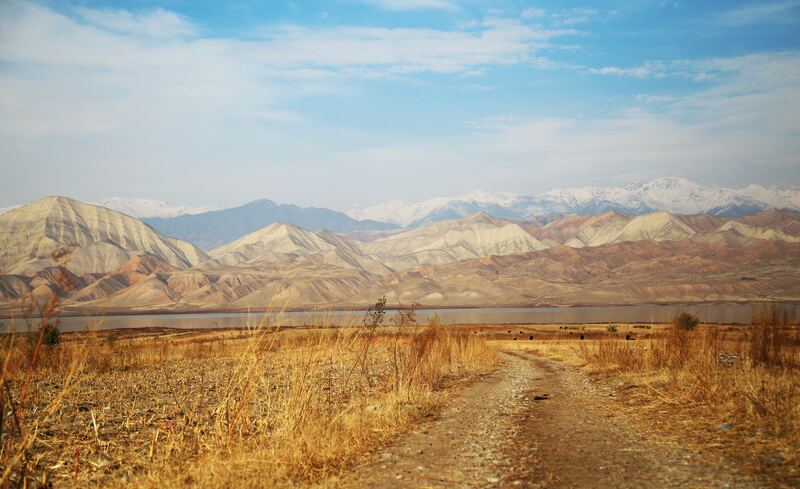 Since 2016, PAGE has been working in the Kyrgyz Republic to develop the basis the basis on which the country could transition to an inclusive green economy. The Ministry of Economy is responsible for integrating inclusive green economy principles into the long-term and medium-term strategic documents for the Kyrgyz Republic, and, as such, the Kyrgyz Government Development Program recently adopted by the Kyrgyz Parliament contains key targets towards transition to green economy. The research and analysis conducted by PAGE’s national experts formed a key component of the inputs provided by the Ministry of Economy. Through active consultations, the Ministry of Economy has decided to develop a separate national Inclusive Green Economy Program for 2019-2023, for Kyrgyz Republic’s transition, as well as a step-by-step Action Plan for 2019-2021. National consultations for the Inclusive Green Economy Program are expected to take place during the upcoming Green Forum on October 19th this year, in the context of “Green Week,” scheduled from October 15 to October 19, 2018. Alongside the broader macroeconomic policy advice and analysis, PAGE is working in Kyrgyzstan to develop a Sustainable Finance roadmap, and on a project to enhance sustainable public procurement. It is envisaged that robust sustainable finance and public purchasing will be cornerstones for accelerating both the supply and demand for sustainable products and services in the country. 17 July 2016 – Usually the story goes like this: businesses are taking advantage of loopholes to increase profits at the expense of the environment and local communities, and the policymakers are scrambling to close these loopholes. However, more and more, we’re seeing evidence of the opposite: businesses are taking advantage of the market demand for sustainable and ethical products, and policymakers are trying to regulate to incentivize and replicate these behaviours. Business-as-usual is still the usual, of course. But policymakers in some countries are working to redesign their whole economic system to weed out perverse incentives in the economy, and design in desired catalysts for greener and fairer workplaces, products and lifestyles. “There is a major employment dividend to be had from action to protect the planet, from action against climate change,” Guy Ryder, head of the International Labour Organization. “We reckon that 24 million jobs can be had from here to 2030 from action against climate change”. His words came during an address last night on the side lines of the UN’s High Level Political Forum, at which world leaders gather to assess their progress against the agreed-upon Sustainable Development Goals. The event, entitled “Transforming our economies and lifestyles: greener and fairer for future generations,” homed in on finance and lifestyles as key drivers for inclusive, green economies. 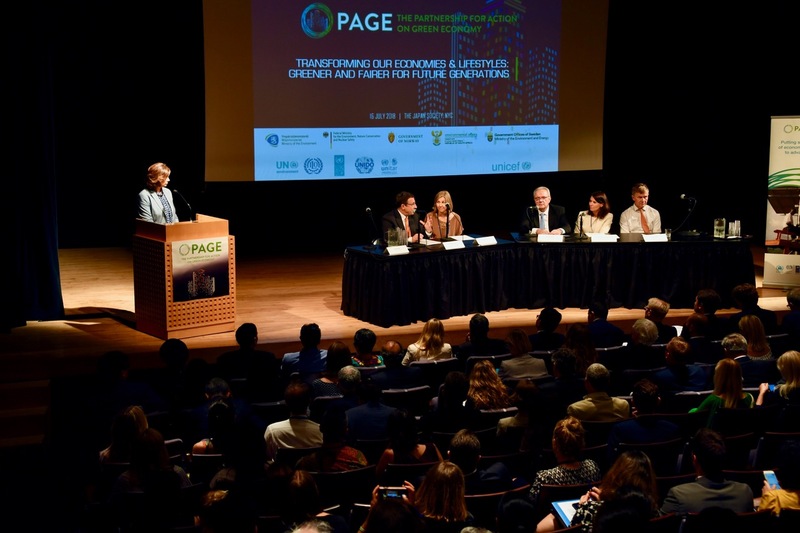 The Partnership for Action on Green Economy (PAGE) – a UN program supported by various funding partner countries that helps governments go through precisely this process of reorienting their economies to value sustainability and social equity – hosted the event. The High Level Political Forum continues this week in New York. 26 April 2018, Montevideo, Uruguay – "A nice brochure is not enough to make people separate their garbage. You will need a sustained effort and the right incentives to make change” exclaimed María Laura Rodríguez, Economics, Communications and Environmental Manager at the concluding discussion of a workshop held on 26 April in Montevideo, Uruguay. The workshop was organized as part of the country’s inclusive green economy capacity building effort that is shaping up in collaboration with the Partnership for Action on Green Economy (PAGE). The country joined PAGE in 2017. 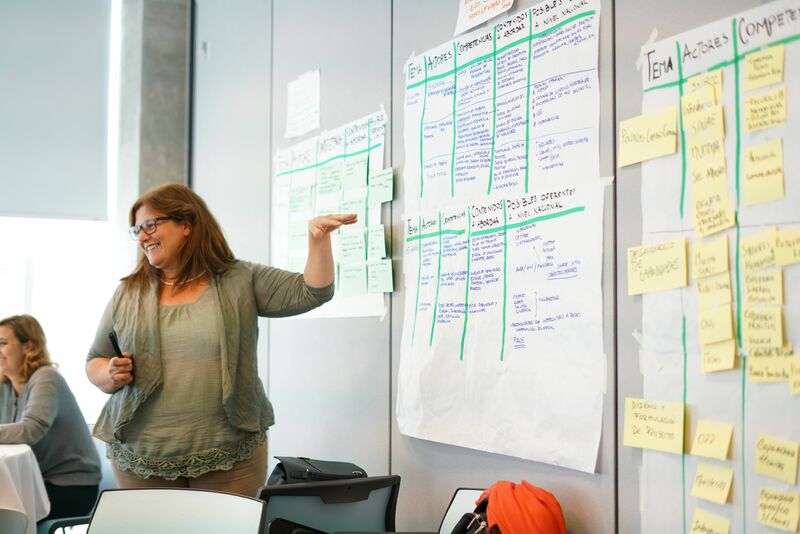 As project work streams are concretizing their scope and goals, PAGE and government counterparts initiated a dialogue early on in the project to analyze what skills and knowledge related to the green transition need to be strengthened. In particular, the workshop aimed at identifying priority inclusive green economy learning needs in public, private and civil society sectors as well as academia. It also started a discussion on the competency framework to guide more structured analysis later on. The competency framework serves to differentiate skills in varying competency areas, such as project management, stakeholder involvement and technical execution of tasks. “This is a tremendous opportunity for our country. We have a unique support mechanism over multiple years in PAGE. Let’s be ambitious and envision now where we want to be at the end of this project!” emphasized Pablo Montes, National Coordinator for PAGE, in front of the 42 participants at the start of the workshop. “The approach to build capacity in Uruguay is to compose a strategic, multi-year programme informed by the vision and identified needs we discuss early on. The resulting interventions will then take us where we want to go in terms of inclusive green economy skills and knowledge, step by step, like a stairway” explains Giuliano Montanari, Focal Point for Uruguay at the UN Institute for Training and Research (UNITAR) and co-facilitator at the workshop. 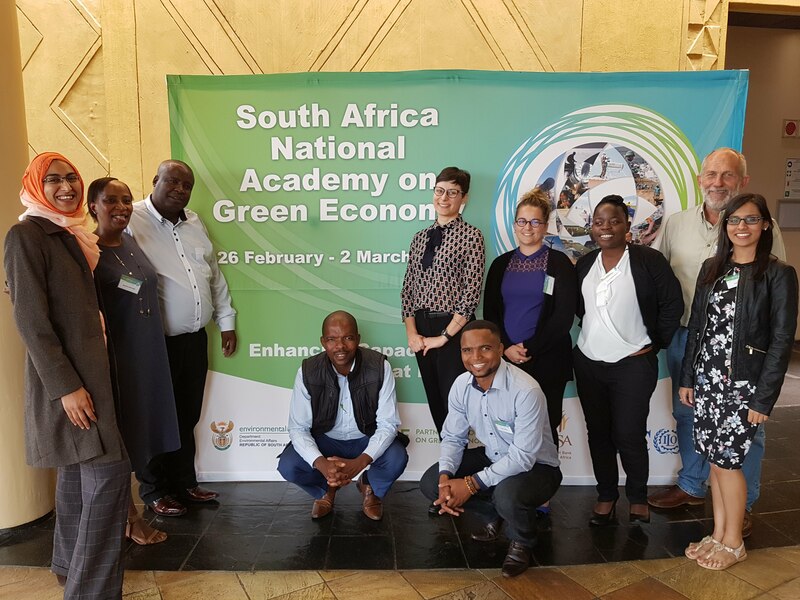 2 March 2018, Midrand, South Africa - Stephen Barrow, a consultant at the South African Organic Sector Organisation (SAOSA), was among 100 people who took part in the country’s National Academy on Green Economy. The five-day Academy in Midrand, which concluded on March 2, was organized by the Partnership for Action on Green Economy (PAGE), in collaboration with the South African Department of Environmental Affairs, the Deutsche Gesellschaft für internationale Zusammenarbeit (GIZ) GmbH, and hosted by the Development Bank of Southern Africa. It brought together experts from national and provincial-level government, business and the private sector, labour, civil society and international organizations to share ideas on South Africa’s transition to a green economy. “Green industrial policy and trade requires assistance from other areas within government – aligning environmental and industrial policy, so that a common vision of the green economy can be achieved,” noted Ntombifuthi Ntuli, Research Group Leader at Energy Industry, Council for Scientific and Industrial Research. Meanwhile, Olympus Manthata, a Green Fund Manager at the Development Bank of Southern Africa, stressed the importance of green economy transitions “responding to development challenges such as access to water and energy”. Participants recommended strengthening outreach to provinces and municipalities as well as the private sector and civil society at the local level, to support their role in translating national green economy policies into practice. They also called for an increase in data collection and the development of indicators for green economy, and green jobs policy-orientated research to inform decision making and fast track project implementation, among others. initiatives on sectoral and cross-sectoral projects such as regenerative and organic agriculture for food security and export and community engagement in sustainable waste management. The Academy included a study visit to The Waste Group (Pty) Ltd, a waste management company established in 1986 and dealing with industrial and commercial waste markets in and around Pretoria. 27 February 2018, Erdenet, Mongolia - For decades the only source of lighting at the regional public hospital in Mongolia’s Orkhon province came from high-energy inefficient bulbs that did not meet health and safety standards. “I was hospitalized twice last year and stayed in the rehabilitation section of the hospital. When I first stayed the lighting was bad, some bulbs and lights were not working properly and those working bulbs did not have sufficient lights. It was always dark,” said S. Baljinnyam, an elderly patient. 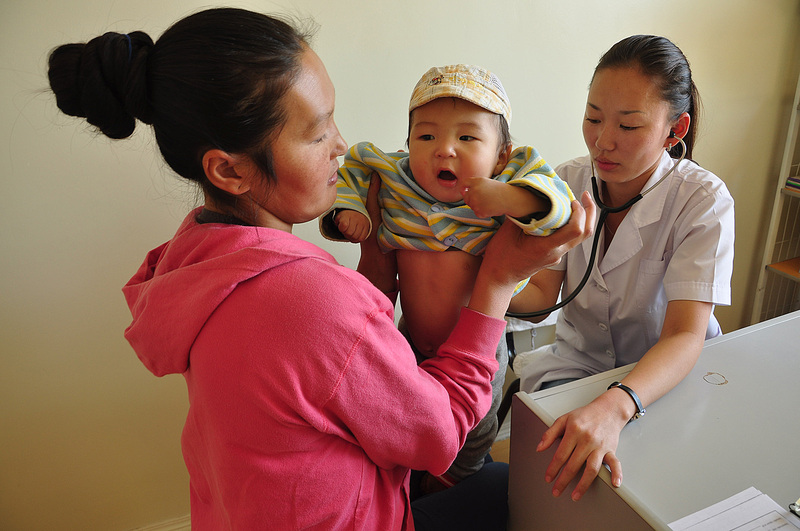 The hospital in Erdenet, Orkhon’s capital city, is solely dependent on the province’s budget which usually falls short for routine maintenance, as is the case for many of Mongolia’s hospitals. But thanks to a small project grant awarded by the Partnership for Action on Green Economy (PAGE) following a tender competition in 2017, the hospital was able to install LED lights in some areas and slash its annual energy costs, funded by the province, by an estimated 55 per cent. The diagnostic and medical center selected Erdenet-based And Energy LCC, the only Mongolian producer of LED lighting, to replace the old light bulbs, thereby fostering local green jobs. “With LED lighting we have improved our energy efficiency, improved our cleaning, and provided a better and safer environment for our patients and staff,” said hospital director, B. Batsukh.